Location: The Base Yoga Studio, Berwick. 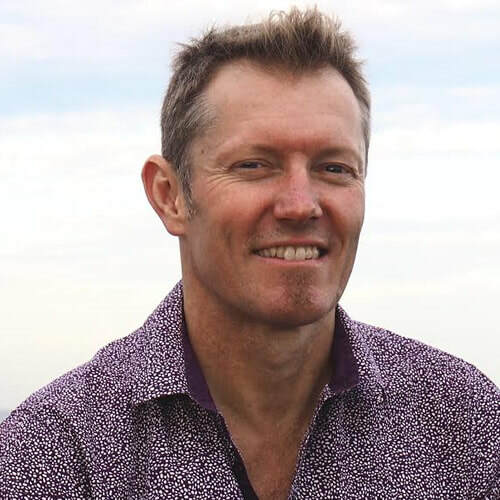 Due to the popularity of his unique approach and simple teaching methods, we are excited to welcome back Matt Young, from the Melbourne Meditation Centre, for a third year running. Matt will be offering his highly regarded Meditation Teacher Training program over four Saturdays in June 2019.
gain the confidence to guide and teach meditation. learn how to write your own guided meditation scripts. work through real-life case studies and scenarios. understand what techniques to teach and in what order. practice and discuss your concerns with like-minded students. expand your understanding of meditation and mindfulness in a light-hearted learning environment. develop your own meditation practice in new and surprising ways. You’ll also come away with Meditation Teacher Training Certification and the opportunity to further your studies (by doing extracurricular reading and exercises) in order to meet the membership requirements of the Meditation Association of Australia. You’ll be invited to engage in practical exercises, case studies and discussion and will be given the opportunity to develop and present your own meditations in class. You’ll be provided with access to an online portal, where you’ll be able to view and read a selection of curated articles, podcasts and videos from a variety of meditation traditions, along with recommended reading and assignment work. 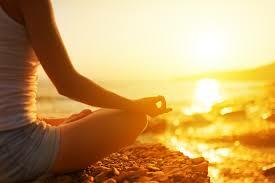 Learn how to write and deliver guided meditations with confidence and skill. Identify and overcome the most common difficulties students have when learning to meditate. Learn how to teach meditation in easily digestible and understandable terms. Discover how to make meditation accessible to people of all types, from kids to corporates. Explore the full range of meditation techniques and know when to teach them. Learn how to address students specific needs, concerns and difficulties (e.g. anxiety, insomnia, overthinking). Receive support and encouragement in developing your own teaching style in order to customise what you teach according to the needs of your students. Explore our unique approach and understanding of emotions and learn how to support students through emotional challenges. Understand the history, psychology and neuroscience of meditation and mindfulness. Know your roles and ethical responsibilities as a meditation teacher. Discuss advertising, marketing, insurance, accreditation and business considerations. Develop a course curriculum and know what to teach and when. Explore apps, including their advantages and limitations. Minimum hours required for certification: 30 (24 contact, 6 non-contact). The course is open to anyone with an interest in guiding or teaching meditation; however, ideally, students will be expected to have two or more years meditation experience. Please note that in order to participate you must have completed a Meditation & Mindfulness For Beginners Course. These can be completed at any of our venues and run for 6 weeks. For this Teacher Training Intensive in Berwick, you may also elect to complete the Meditation & Mindfulness For Beginners Course online (pay what you like, no catch). Note: To qualify for membership with Meditation Australia you will be required to complete extra reading and study, and to participate in a Retreat or Mini-Retreat at the Melbourne Meditation Centre. Sign up in person at the studio, online through our website by clicking the below registration button, or via the Mind Body App. Matthew Young set up the Melbourne Meditation Centre in 2005, following a decade of meditation study, culminating with 4 months study with Eric Harrison at the Perth Meditation Centre (2004). Since then Matthew has taught about 1000 students per year. In the process he has developed an understanding of the common pitfalls and difficulties beginners to meditation encounter. More importantly, he has learnt how to teach meditation in a practical, down-to-earth style, free of confusing jargon or dogma. His main interest has been to make meditation accessible; to demystify the subject, to make it easy to learn and do, and to customize it to the needs of contemporary students. Matthew, along with Subodh Joshi and Paul Majewski, helped establish Simply Silence and, with Garth Stone and Paul Majewski, Meditation Events, responsible for events such as the Australian Meditation Conference, Music for Meditation and The Big Retreat. He is currently a board member at the Meditation Association of Australia. Although he has explored a wide variety of meditation techniques and traditions Matthew doesn’t belong to any particular school and doesn’t think of anyone as his teacher or ‘guru’. Instead he’s been fortunate enough to meet a number of mavericks in the meditation field; mentors who helped him to avoid the many pitfalls and to find the sweet spots amongst all the mystery and misinformation. Many people have influenced him in this way, and how he thinks, practices and teaches meditation owes much to them. Prominent, amongst them, have been Eric Harrison, Lorin Roche and Jason Siff. ​Matthew continues to study meditation and related fields in order to bring to his students the most useful techniques and strategies available. 2018 BALI YOGA RETREAT - LAUNCHED!